Drones, augmented reality, wearables and edge-to-cloud solutions were the highlights of the largest annual electric power transmission and distribution conference in the U.S. 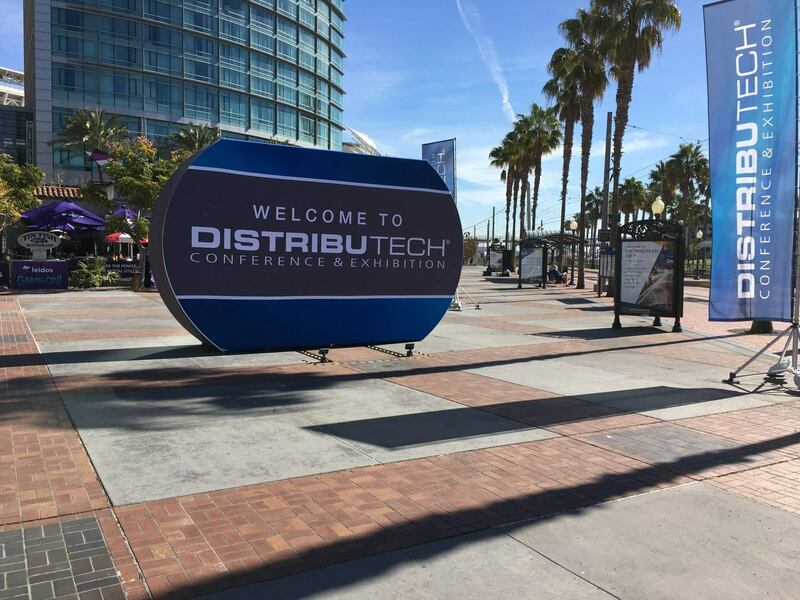 This year’s DistribuTECH did not fail to deliver; bringing together the world’s smart utility community and technology leaders on all things energy in sunny San Diego, California. At the Intel booth, we showcased some of our coolest technology on the market, alongside demos from our partners at SaS Software, Candi Controls, Alarm.com, Schneider Electric, Advantech, and more. If you didn’t get a chance to stop by our booth this year, here’s an overview of the demos. Intel has worked with a number of vendors to develop robust and hardened IoT gateways shown in this demo. The gateways help OEMs and SIs accelerate the delivery of solutions in the energy industry, particularly with respect to distribution grid management systems. On display were devices from ADLINK, Advantech, Dell, and NEXCOM. At the end of the week, more than 12,000 professionals from over 78 countries joined us to network and discuss everything from grid optimization to analytics, IoT, cyber security and more. Attendees took the opportunity to ask us questions, schedule informal meetings to discuss partnerships, and demo many of our latest technology offerings that are helping build a smarter, more reliable energy grid. One topic that seemed to come up repeatedly this year is how to deal with the growing number of distributed energy resources (DERs) and their ever-growing microgrids. Some fear the energy grid is expanding faster than today’s control methods and tools can handle. We’re addressing those concerns with IoT-based smart edge devices that can monitor voltage and produce power quality data by collecting, digitizing, and reporting metrology data using high performance utility networks for increased stability and reliability. What are some of your key findings from this year’s conference? Questions? Tell us below. We’re looking forward to seeing you next year in San Antonio for DTECH 2018! Follow us on Twitter at @IntelEnergy for updates and more.